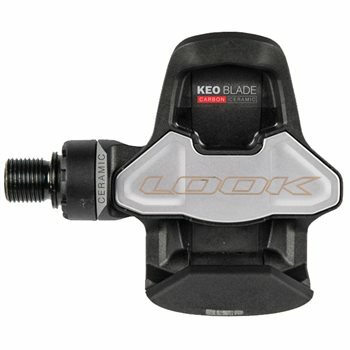 Lightweight, aerodynamic, powerful, the new KEO BLADE CARBON CERAMIC has all the assets to allow you to improve and optimize your performance. Every component, every ball is meticulously selected to ensure the highest level of quality and performance. The balls are precisely calibrated one by one by a machine, down to the micrometre. They are then ordered according to size in perfectly adapted rings, with the result that every bearing has a totally unique structure. The pedals' bearings are sealed from water and dirt ingress to IPX7 and IPX8 standard, ensuring the ceramic bearings remain sound. Supplied with Grey Look cleats. Supplied with a spare set of carbon springs in 16Nm.